Chinese authorities have launched a campaign against halal products to stop Islam penetrating secular life and fuelling 'extremism'. 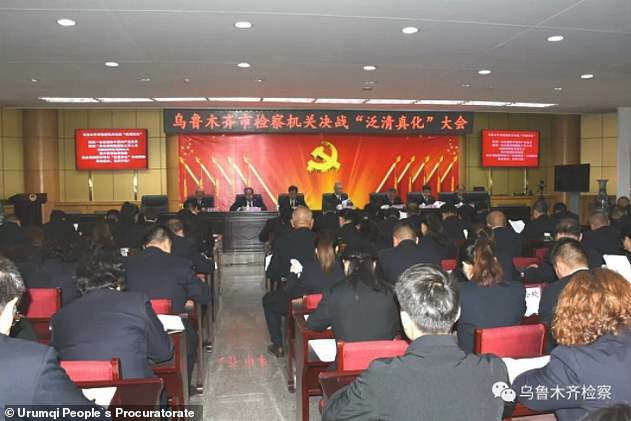 In a meeting on Monday, the Communist Party leaders of Urumqi, capital of Xinjiang region and home to the mostly Muslim Uighur minority, led cadres to swear an oath to 'fight a decisive battle against "pan-halalisation",' according to a notice posed on the city's official WeChat account. Everyday products, like food and toothpaste, must be produced according to Islamic law. 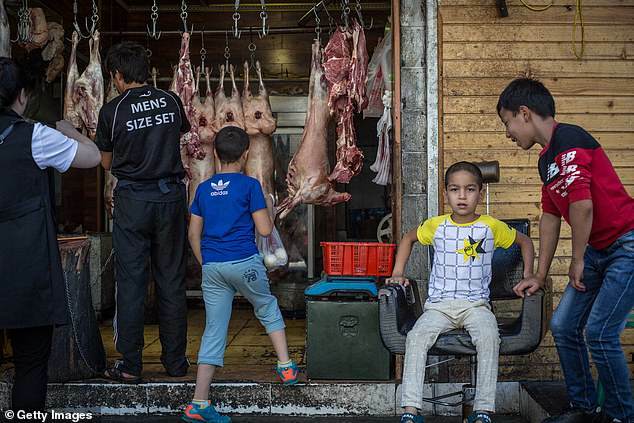 Uyghur vendors trade Halal meat to costumers in the Tianshan District knows as the Uyghur district of Urumqi, capital of northwest China's Xinjiang Uyghur Autonomous Region in China.